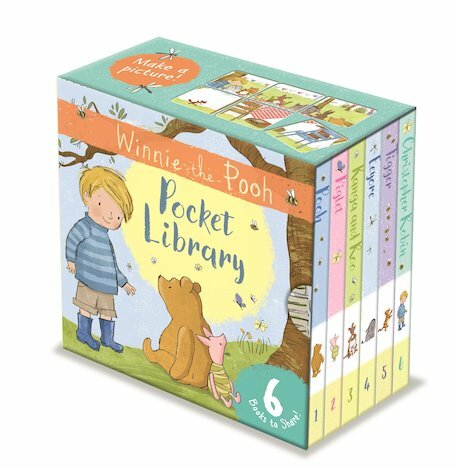 Meet Pooh and his friends from Hundred Acre Wood in this cute and cuddly box set. It’s so little it fits in your pocket. But it’s so bright and cheerful it’ll light up your heart! Say hello to Pooh’s friends from his classic stories. There’s Christopher Robin, Piglet, Tigger, Eeyore, Kanga and Roo – plus Pooh Bear himself, of course. When you meet these favourite friends and learn how lovely they are, you’ll see why Pooh’s always so merry. No bear could hope for better buddies!